This year I managed to score a media pass to Perth’s anime and gaming convention, Wai-Con! It was a super warm and hectic weekend, but as always at these things I was blown away by the intricate cosplays (that’s costume + play, or dressing up as fictional characters for the uninitiated) and the energy of the event. Now that I’ve had a taste of the perks of having a media pass I don’t think I’ll ever be able to go back to being a regular con-goer – not having to line up for the cosplay competition and getting one of the best seats in the house was the best! I struggled a little with stage photography (so many coloured flashing lights!) but managed to get at least one decent photo of every entrant. 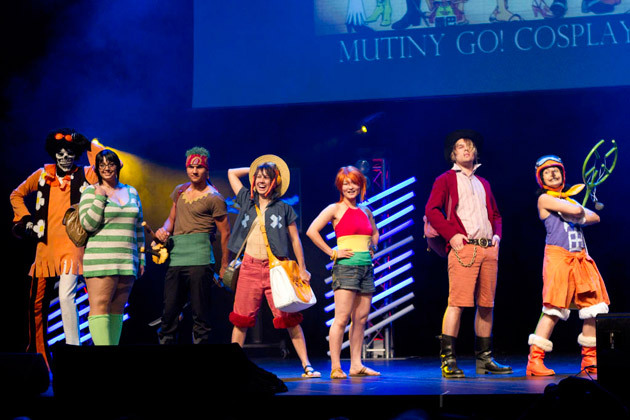 Perth’s cosplay competition beats every other one that I’ve seen interstate, for one main reason – the MCing of local comedian John Robertson, who even got talked into doing a rather terrifying crossplay. These One Piece cosplayers were my absolute favourite – besides the great costumes, they stayed in character throughout their interview, made all the more hilarious and bizarre by the fact that John was still in his crazy nun outfit. I spent the rest of the time wandering around the main hall taking photos, bumming around friends’ art tables, consuming an awful lot of Pocky and doing a few quick photo shoots outside (to be posted here soon). 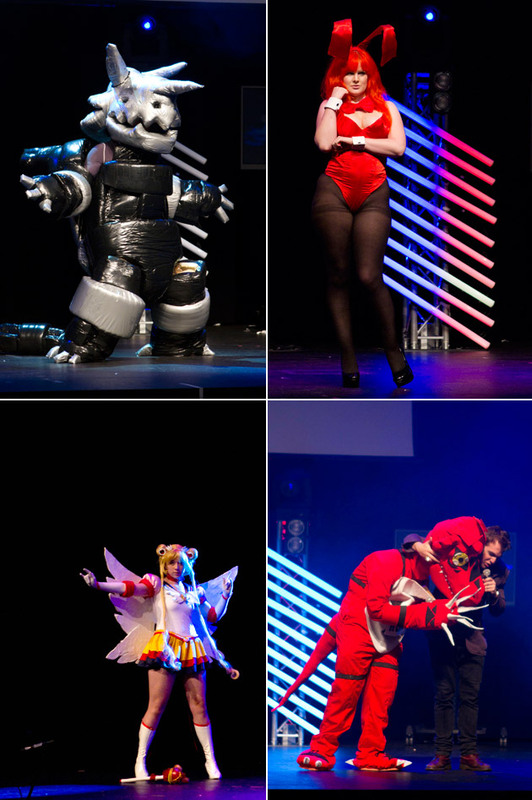 Big congratulations to all the cosplay competition winners, props to everyone who had the courage to cosplay or step up on stage for the first time, and well done to the organisers for putting together an excellent event! Photos from around the con on Saturday and Sunday are up on my ChiGarden Facebook page – if you’d like a high resolution version of any of these photos of you, please get in touch and I’ll send them on through. I admit, the big-red-arrow is creative though, it just draws the eyes, to doom! I’m confused – big red arrow? I think everyone was really brave to put themselves out there, especially up on stage. 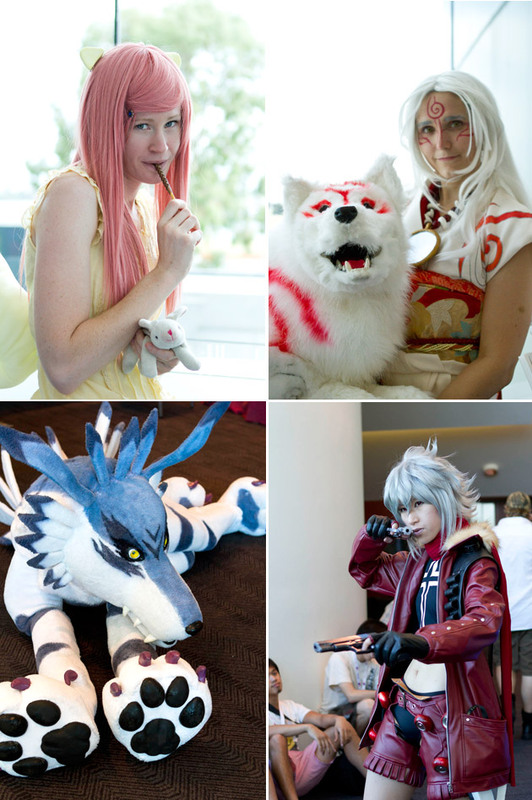 Cosplay is definitely a much better hobby than other things considered more ‘socially acceptable’!